French President Emmanuel Macron touched a nerve in Turkey with his remarks on Tuesday on the controversial issue of the Armenian "genocide." Turkish Presidential Spokesman Ibrahim Kalın "strongly condemned" Macron's plans to make April 24 a "national day of commemoration of the Armenian genocide" and implied that the French president was exploiting the matter for political gains. Turkey refutes the claims of "genocide" and says it is an attempt to defame the country. The annual commemoration on April 24 marks the deaths of Armenians who died in eastern Anatolia in the early years of World War I, when the Ottoman Empire's Committee of Union and Progress (CUP) government decided to deport Armenians to Syria when some sided with the invading Russians and revolted. Poor conditions, disease and attacks from irregular units caused numerous casualties. Ankara does not accept the alleged "genocide" but acknowledges there were casualties on both sides during World War I. "The so-called Armenian genocide allegation has no legal basis, goes against historical realities and is a political lie. It is null and void for Turkey," Kalın said in his written statement. 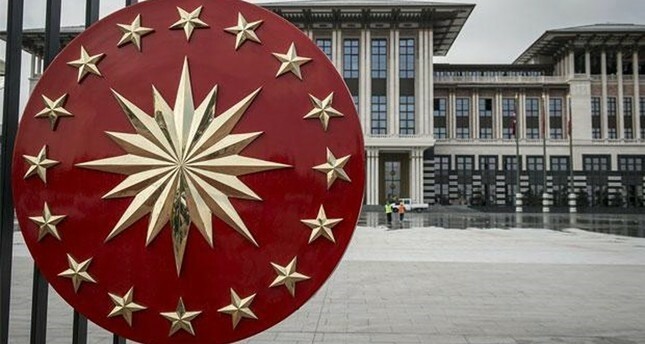 "Those who ignore President Recep Tayyip Erdoğan's call in 2005 for the formation of a joint history commission to illuminate historical realities are now trying to manipulate historical incidents." He was referring to a call, which has been repeated since then, to form a commission composed of historians from Turkey and Armenia as well as international experts. "We will not allow those trying to incite hatred through history by distorting the facts about our past. No one can accuse Turkey of a crime it did not commit to defame our history. We condemn and reject attempts by Mr. Macron, who is afflicted by political problems in his own country and is trying to save the day by turning historical events into a political matter," Kalın said, adding that it was "a political and moral fault to exploit painful incidents for politics." The presidential spokesman also pledged that Turkey would continue supporting every well-intentioned effort to illuminate incidents happened in World War I with an approach based on "shared pain and a fair account." Ömer Çelik, spokesperson of the Justice and Development (AK) Party, also condemned acron's decision, calling on the Frech president to reflect on the history of his own country in a reference to French colonialism in Africa. Çelik called it "a step to please political lobbies", and said it was against the spirit of dialogue. Armenia claims up to 1.5 million Armenians were killed in an act of genocide by the Ottoman Empire in 1915. Turkey accepts the mass deaths of Armenians during their forced deportation during the war but claims the death toll was much lower. Armenia demands recognition of the incidents as "genocide" in order to advance relations between the two neighboring countries. In April 2014, Erdoğan, who was prime minister at the time, offered condolences for the Armenian deaths that occurred in 1915 – a first for a Turkish leader as the country froze diplomatic relations with Armenia both over the genocide issue and Armenian occupation of Nagorno-Karabakh, an enclave also claimed by Turkey's close ally, Azerbaijan. The move was seen as a significant step toward a possible reconciliation. Many Armenians argue that denying allegations that the events of 1915 constituted "genocide" should be a crime, just as negating the Holocaust is. Lobbying efforts by Armenian diaspora whose number is high, particularly in France and the United States, helped to gain recognition of the incident as a "genocide." France was one of the first European states to recognize it and more than 20 other countries followed suit.